Don’t Go for Low-Grade Wooden Wine Racks. 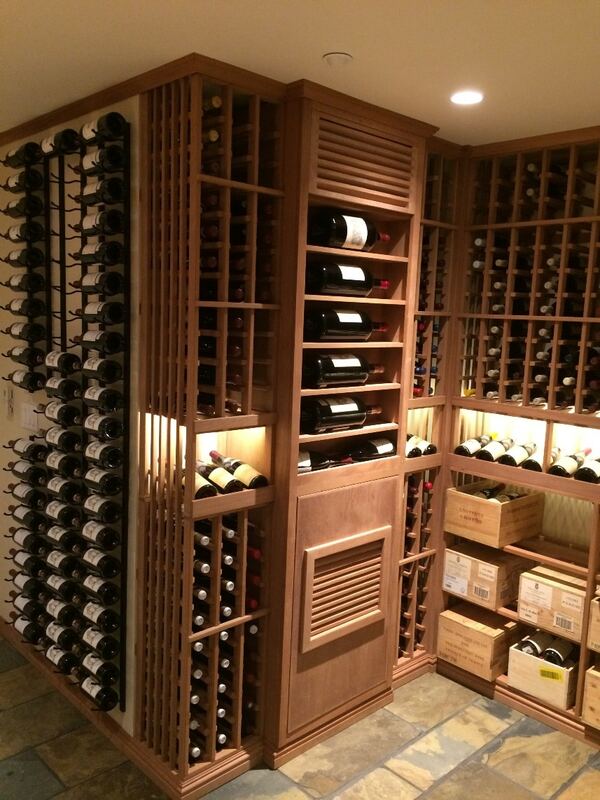 Let Custom Wine Cellars Houston Build an Effective and High Quality Storage System for You. Choosing the wrong material and design for your wine cellar racks can cause a significant expense in the future. 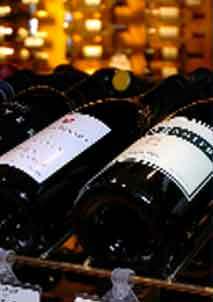 To avoid disappointments and a waste of money, it is recommended that you work with a reliable wine rack manufacturer. 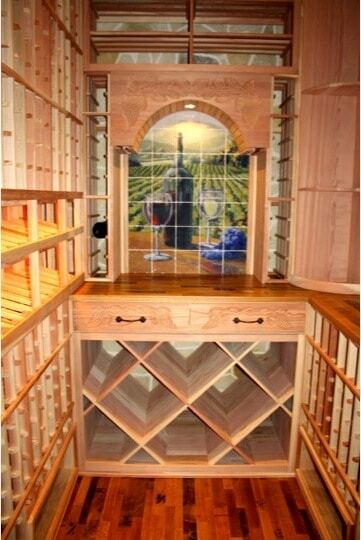 Learn why Custom Wine Cellars Houston, a wine storage specialist, recommends wine racks made from Mahogany and Redwood. If one of the essential components in wine cellar construction is made of a low-grade material or is not installed properly, the result can be disappointing. Just like the cooling system, flooring, lighting, and insulation, the racking material plays an important role in building a wine cellar. Custom Wine Cellars Houston, one of the most trusted wine room experts, has used wood for many of the installation projects they have completed. Two wood species they recommend are Mahogany and Redwood. Wood is the ideal choice for building traditional wine cellars. This material is known for its many benefits. 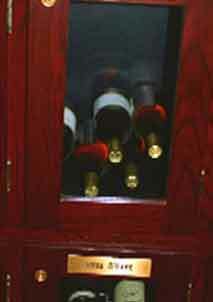 One of the reasons many wine collectors in Houston opt for wooden wine racks is its natural beauty. Even when unstained, most wood varieties still look very attractive. They are available in various colors and can be stained according to the owner’s preference. Mahogany and Redwood are two of the most favorite types of wood in wine rack construction. Learn more about their benefits. Mahogany is commonly found in America and West Africa, but can also be found in other countries like the Philippines. Its color can be grayish, pinkish, reddish, orange, or brownish, depending on where it is grown. Its color gets darker over time. Its texture is even and smooth and it displays attractive grain patterns (stripe, ripple, blister, ribbon, or mottle). When polished, it exhibits a reddish sheen that adds character to wine cellars in Houston. Its stability depends on the grain and moisture content of the wood. The timber from Mahogany is very stable because of its close grain pattern and lack of soft grain, which is the wood between the grain lines. It will resist warping and remain stable for many years when kiln dried to reduce the wood’s moisture content. Mahogany wine racks are available in different varieties. Learning about the characteristic of each wood will help you determine the most suitable type for your wine cellar. Grown in the tropical southern part of Asia, Prime Mahogany is widely used in the cabinetry and furniture building industry because of its natural beauty. It is reddish brown in color, which is striking even when unstained. It has a tight grain pattern. It is widely used in cabinetry because of its natural beauty. It absorbs finishes and stains easily to complement any home décor. Despite its being a superior dense hardwood, Prime Mahogany is more affordable compared to other Mahogany species. Superior stability is one of the outstanding properties of Sapele Mahogany. It has gorgeous grain patterns that make wooden wine racks constructed from this material eye-catching. 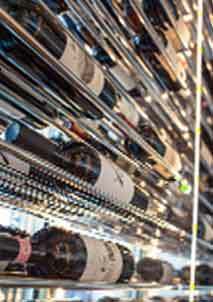 This is the ideal option for Houston wine enthusiasts who want scent-free racking units. Some wood species have scent that can affect the quality of the wine. 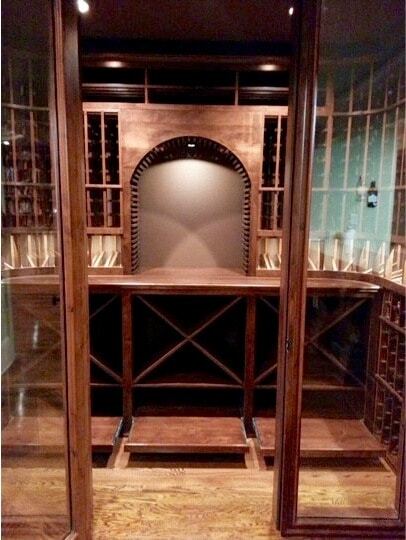 Utilizing Amber Blaze Mahogany for your racking can turn a room into a stellar wine cellar. Although it is more expensive than the other Mahogany species, Amber Blaze offers maximum durability. 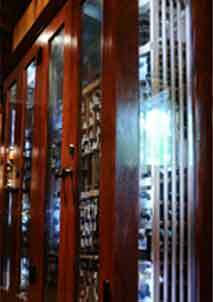 Wine racks constructed from this wood exhibit a dark reddish tone when unstained. 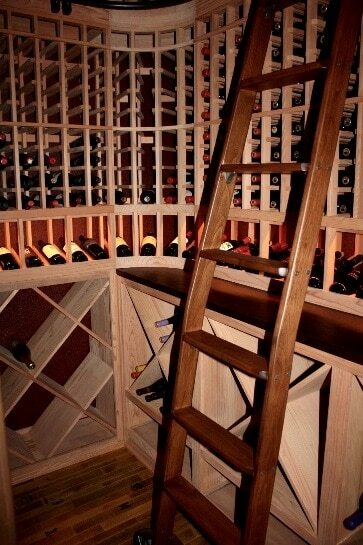 Custom Wine Cellars Houston offers custom stain options to give your wooden wine racks a vibrant and luxurious appeal. In Southeast Asia, Philippine Mahogany is a popular wood choice for building furniture. It is also known as Lauan or Meranti. Wine racks constructed from this wood exhibit a grayish color and warm appearance. There is a variety of this Mahogany species that differs in appearance strength, and working properties. The Honduran Mahogany (known as Genuine or Big-Leaf Mahogany) has a rippling grain pattern and exhibits a distinctive orange color. It has moderate clusters and a medium texture. Its grain patterns can be wavy, interlocked, straight, or irregular. It is softer than Mexican Mahogany but harder than Philippine Mahogany. Commonly found in California and the coasts of Oregon, Redwood is the type of wood that will add aesthetic appeal to your wine racks. With a natural reddish tone, your wine cellar will have an impressive rustic appeal. Redwood has burl clusters, which are rarely found in other types of hardwood. When it comes to durability, Redwood is a great option. Because of its natural preservatives, there is no need to apply stain on the wine racks for them to become durable. Expect your wine racks to remain standing even when your walls or ceilings were infected with mildew, insects, or decay. Additionally, Redwood wine racks are suitable for installation in wine cellars equipped with a climate control system because it can withstand the humid conditions. The resiliency of Clear All Heart Redwood to warping, shrinking, and rot, make it a favorite material in the building industry. Expect a more lustrous reddish tone as the wood ages. This material, which comes from the core of the redwood tree, is the finest grade of Redwood. If you prefer a lighter color in your wine cellar, Premium Redwood will satisfy your needs. This wood variety is characterized by purple, pink, and white swirls and streaks. 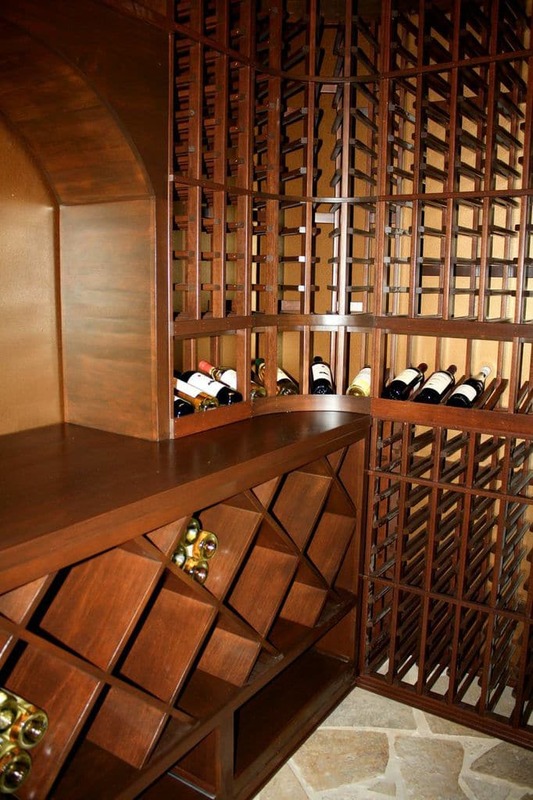 Custom Wine Cellars Houston has been using Premium Redwood for years in manufacturing custom wine racks both for residential and commercial applications. Don’t settle for a low-grade wine rack material. Let Custom Wine Cellars Houston assess all of your needs and requirements to help determine the ideal wood option for your collection. Please don’t hesitate to contact them today at +1-800-876-8789.